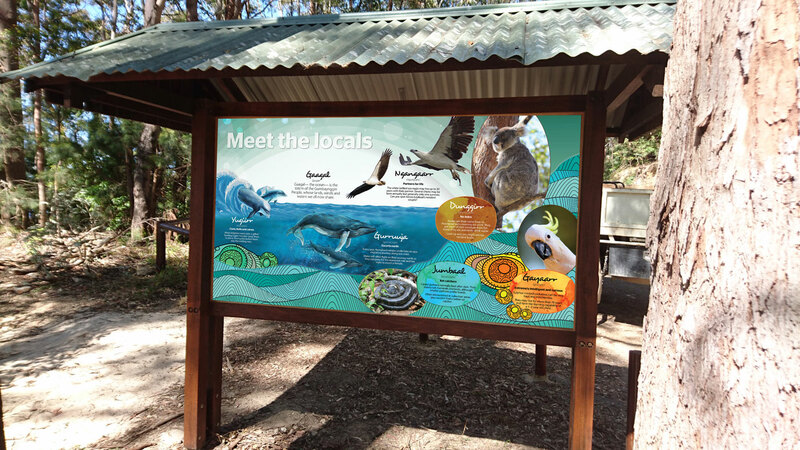 This project received an award in the National Association for Interpretation (NAI) Interpretive Media Award competition. 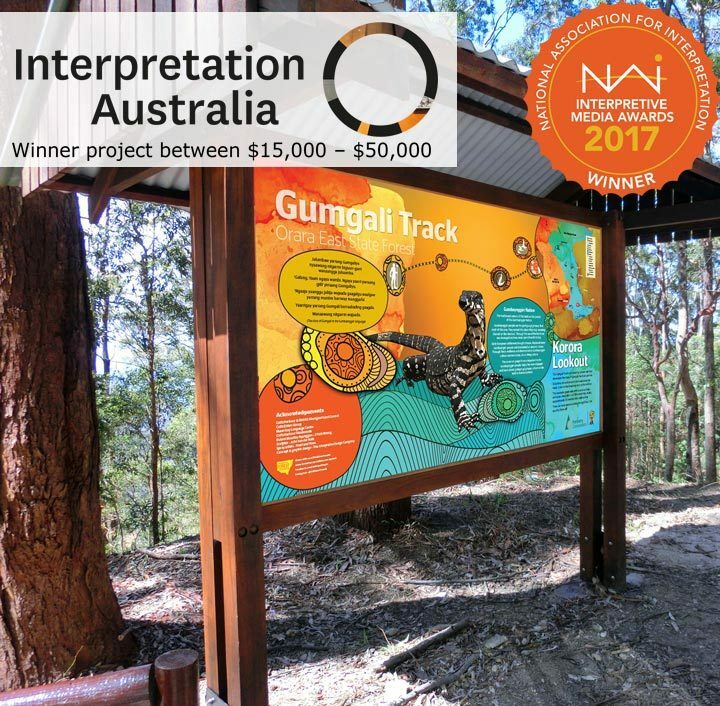 Awarded in August 2017, it recognises all our hard work and that we continue to produce quality projects in the field of environmental and cultural heritage interpretation. 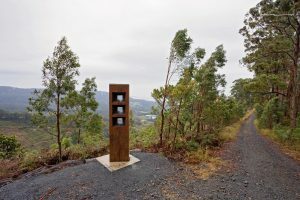 We were engaged by Forestry Corporation to develop an interpretive visitor experience concept for Korora Lookout in the Orara East State Forest. 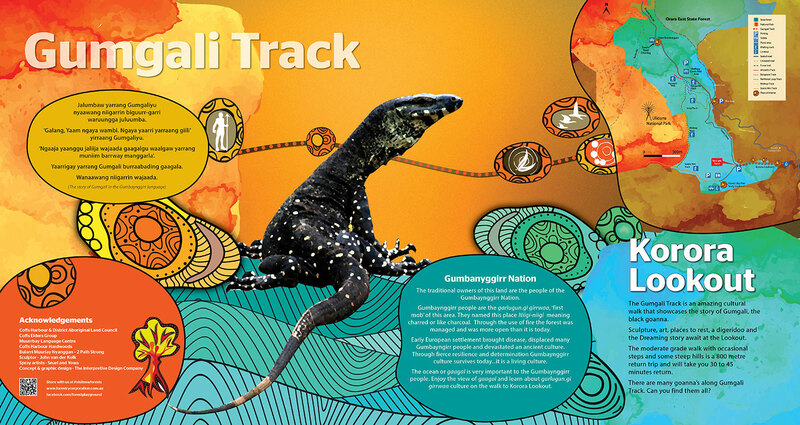 The experience is based on the Gumbaynggirr Dreaming Story of Gumgali, the black goanna. 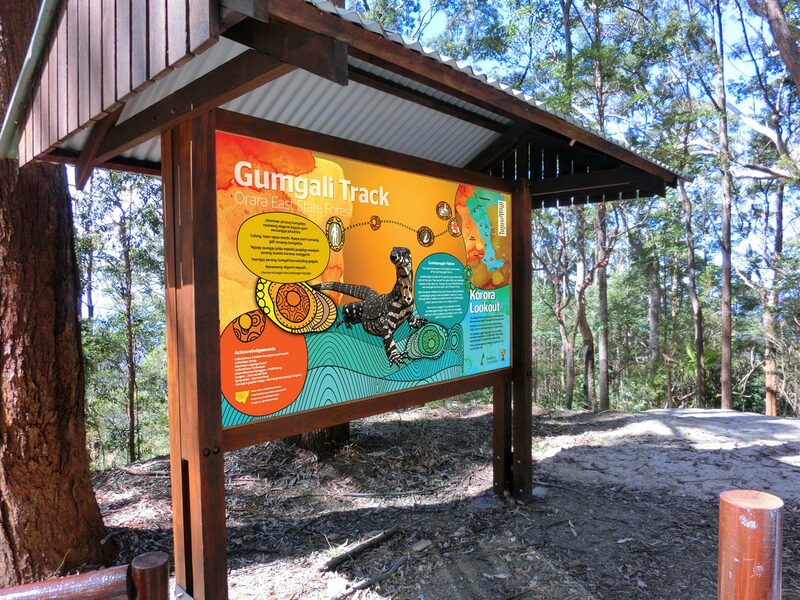 Service: Interpretive planning, engage and project manage local artist (sculptor and spray artsits), develop audio stories in collaboration with Gumbaynggirr locals, signage design. 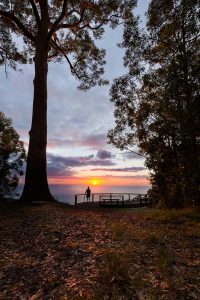 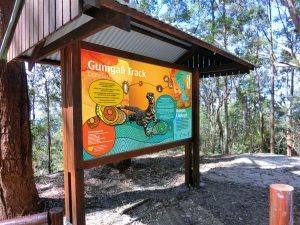 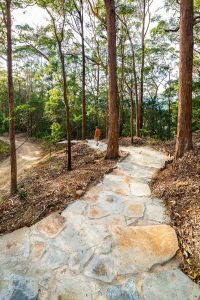 Gumbaynggirr Elders granted permission to tell the story of Gumgali along the 400-metre walk to Korora Lookout through art, sculpture and sound. 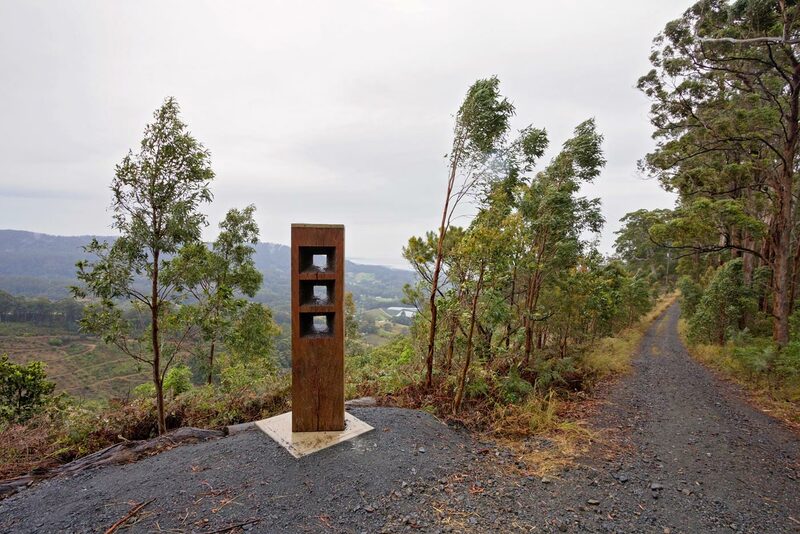 The concept involves an entry statement followed by large sculptural elements by John van der Kolk. 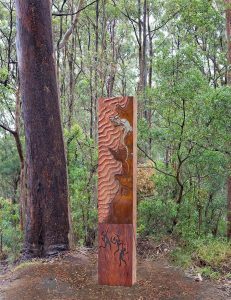 At the Optus and Telstra buidlings we decided to use spray art to tell the story and at the end of the track there is an audio installation. 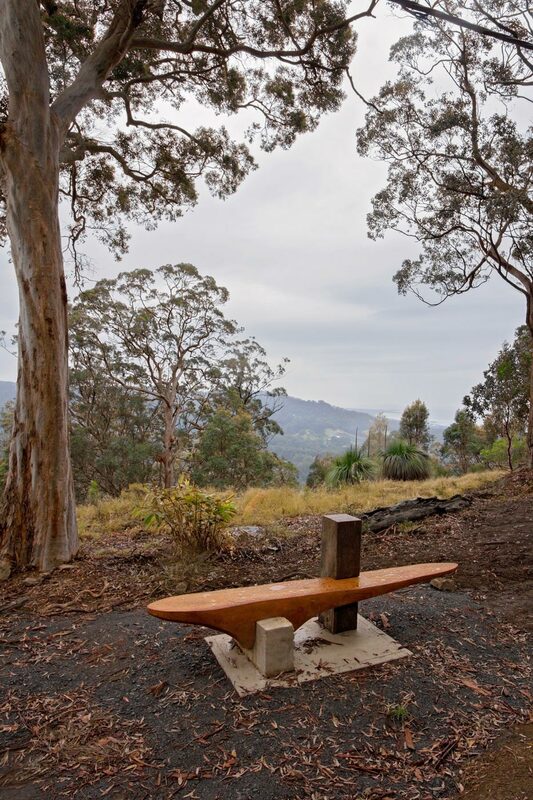 It has been a wonderful opportunity to collaborate with local artists and to also use a variety of media. 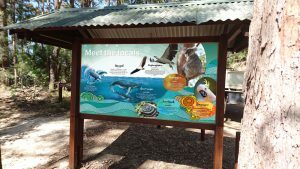 Artwork for the entry panels uses elements of Snarl and Yowa’s spray art for a unified design theme. 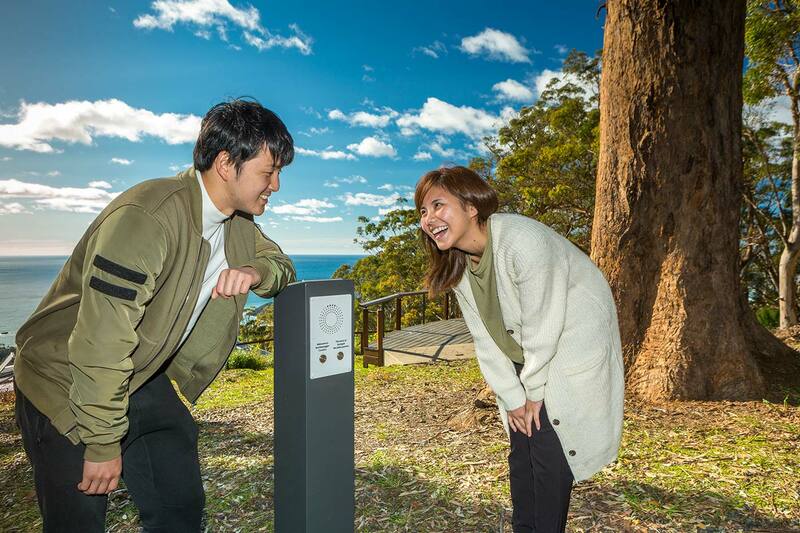 On arrival at Korora Lookout, visitors can listen to the story of Gumgali in Gumbaynggirr language and in English while taking in the breathtaking view. 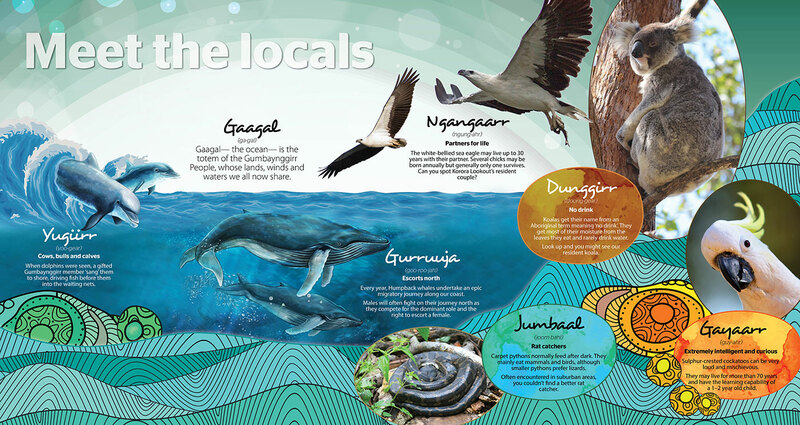 Snarl and Yowa, two local mural artists, have done an amazing job on the buildings. 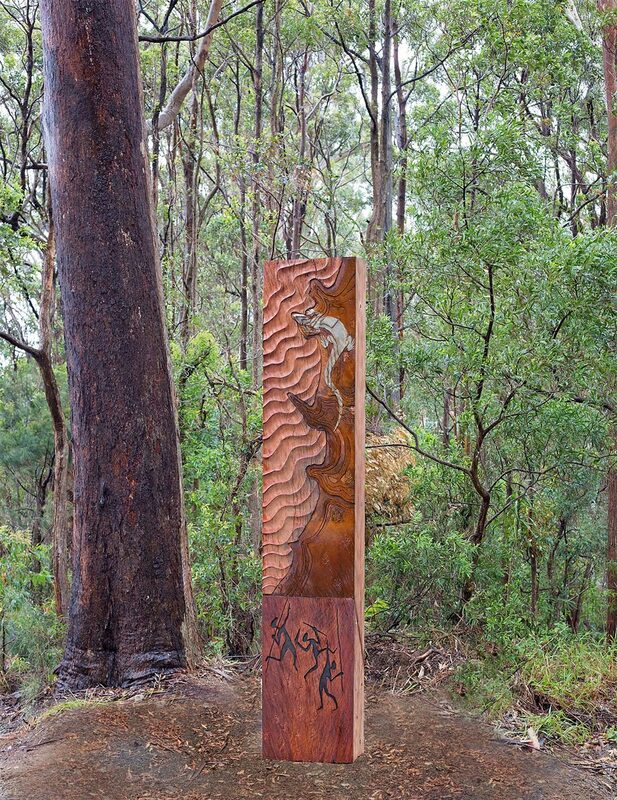 View the murals and spray art by Snarl and Yowa. 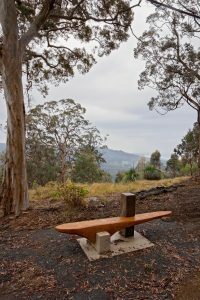 View the interpretive sculptures by John van der Kolk.